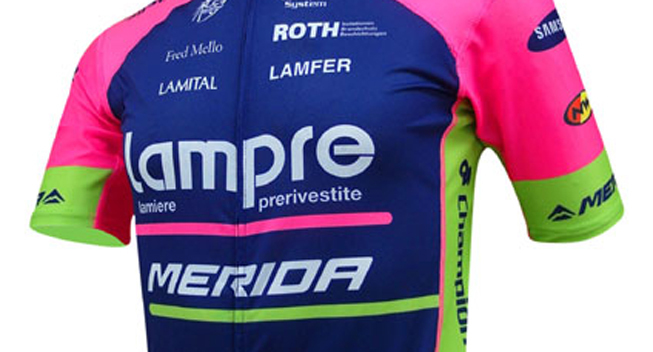 27 years after the first appearance in the professional peloton, Lampre officially leaves professional, leaving the place of the eponymous team to the new sponsor UAE Abu Dhabi with which it will not be involved. Even though the current structure is not the same as the one that began in 1990 (there was a short break in 1995 when the team had the name of Panaria-Vinavil before Lampre returned in 1999), it is none the less one of the oldest teams in the peloton. The Italian champions who have worn the colors of the Lampre team have been numerous and some have achieved remarkable successess in their coulous, especially Damiano Cunego in the classics (he won the Tour of Lombardy in 2007 and 2008 and the Amstel Gold Race in 2008), Alessandro Ballan at the Tour of Flanders in 2007 and Maurizio Fondriest who achieved the double of Milan-San Remo and Flèche Wallonne in 1993. There were also the Gilberto Simoni's victory in the 2001 Giro and Michele Scarponi's win in the 2011 edition of the grand tour. The team have around 40 wins in grand tours. The adventure could have continued with the Chinese sponsor TJ Sport but the Asian project never came to fruition and it was finally UAE Abu Dhabi that saved Giuseppe Saronni's team. The paths of the Italian manager and Lampre have separated and a page has been turned in Italian cycling which is now without a WorldTour team.